B.C. health officials are encouraging people to get the flu shot soon amid a particularly severe strain of H1N1 this season and a possibility the vaccines will run out. Dr. Perry Kendall, B.C. 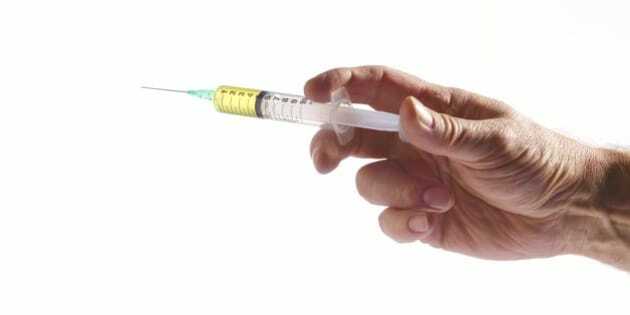 's chief provincial health officer, says demand for flu vaccines is outpacing the province's supply, CBC News reported. "The vaccine supply is not inexhaustible. We have supplies available, but it's conceivable that if demand continues to be high, we will use up all of those 1.4 million doses," he told the network. Kendall said the remaining vaccines would be moved around the province as needed, but numerous pharmacies and clinics have already run out. The possible shortage comes after a woman died from H1N1 in the Okanagan. Alberta's supply is expected to run out by Friday. Nine people in that province have died from H1N1 so far, and another 354 Albertans have been hospitalized. Health officials in Alberta said they've obtained the last doses available worldwide from an Italian manufacturer. As many as 30 people have been admitted to intensive care units in B.C. this flu season. Doctors are not expecting it to be as serious as in 2009, when 8,678 Canadians were hospitalized and 428 people died, The Globe and Mail reported. Strains other than H1N1 tend to affect very young children, seniors and those with compromised immune systems, but H1N1 itself is unusual because it hits children and younger adults, pointed out William Bowie, a professor in UBC’s Faculty of Medicine who specializes in infectious diseases. Flu concerns have also been heightened after an Alberta resident died of H5N1 bird flu earlier this month. The individual stopped at the Vancouver airport enroute home to Edmonton from Beijing. H5N1 infection comes from contact with poultry and "human-to-human transmission is very rare," said Kendall.